Have you ever noticed when you have mint gum or candies that you can breathe better and suddenly feel more awake and focused? Try peppermint oil for headaches next time you feel that ache or tension in your head. Peppermint oil uses and benefits include its long-lasting cooling effect on the skin, ability to inhibit muscle contractions and role in stimulating blood flow in the forehead when applied topically. Some researchers suspect that the oil helps control blood flow in the body and open up the sinuses for better oxygen flow. What exactly happens during a headache? Tension headaches are the most common type of headache. They can cause a feeling of painful pressure on the head and neck. 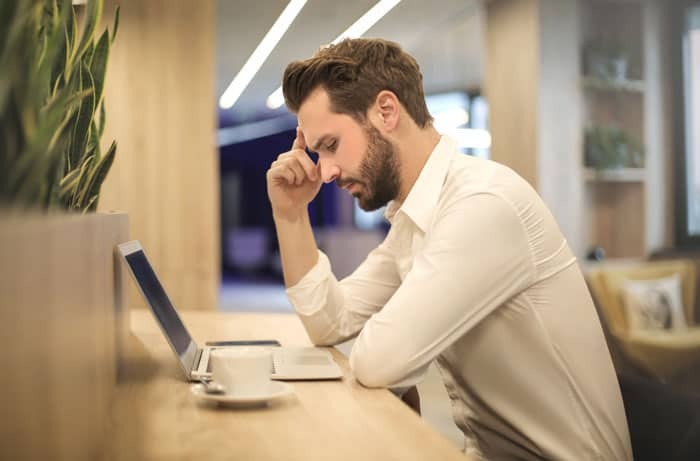 Tension headaches occur when the muscles in your head and neck tighten, often because of stress or anxiety. Why Peppermint Oil for Headaches? Peppermint essential oil is a very effective natural pain reliever and muscle relaxant. Use it to soothe an aching back, sore muscles, and melting away a tension headache by adding a few drops with a carrier oil such as coconut or olive oil and rubbing on pain center. A recent 2015 review of published studies on essential oils states that applying peppermint oil to the temples and forehead provides relief from tension headaches. It is included in treatment recommendations and guidelines by the respective professional societies and is regarded as a standard treatment for the acute therapy of tension-type headaches. 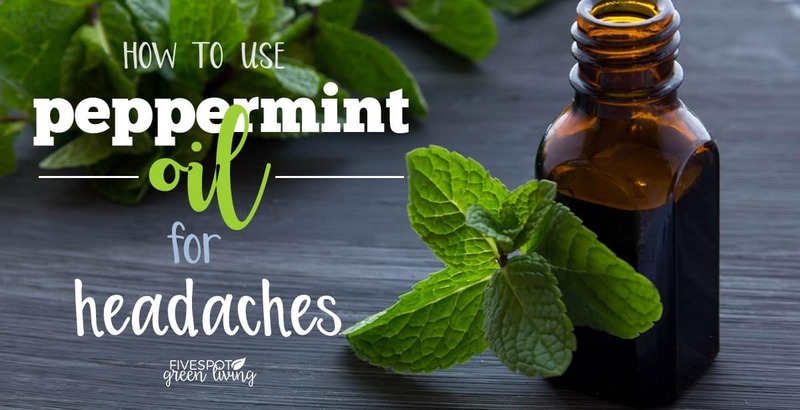 In a German study of 41 people with tension headaches the people who use peppermint essential oil found that it relieves pain as effectively as 1000 mg of acetaminophen and the relief was much quicker just 15 minutes. Over the counter medications like ibuprofen and acetaminophen take a long time to get rid of the pain – sometimes up to an hour after you take it! Some herbal medicine remedies can offer almost immediate relief – peppermint oil can start to relive pain in as little as 15 minutes. 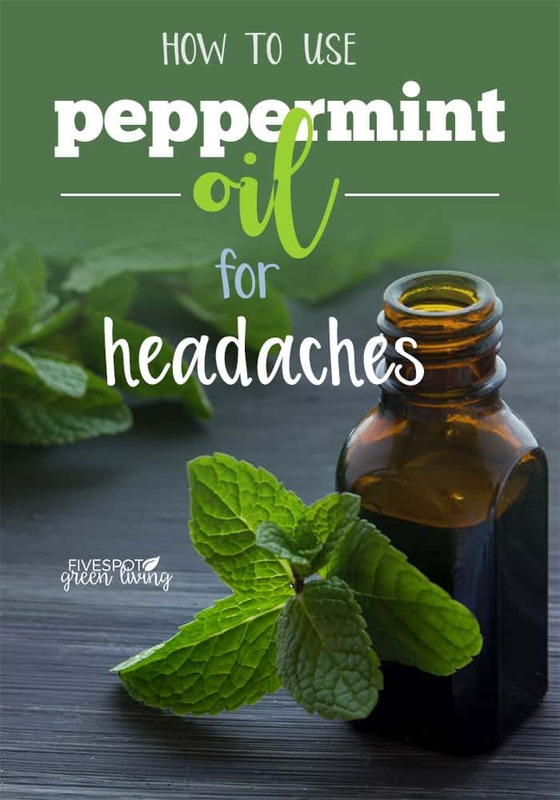 How do I use peppermint oil for headaches? To use peppermint oil for headaches blend it with a carrier oil such as coconut or olive oil and gently massage the oil into your temples the first sight of pain. You can add it to a bowl or just in your hand. For more effective treatment try lavender essential oil and peppermint essential oil blended together without the carrier oil and massage your temples. For quick relief to have on hand you can make up a roller bottle of headache oil using 1 tablespoon of carrier oil such as olive or coconut oil and 10 drops of lavender essential oil and five drops of peppermint essential oil in the roller bottle. Shake well to mix. To use rabbit onto your temples just be on your hairline and massage with your fingertips to warm on your head. To use rub onto your temples and massage with your fingertips. 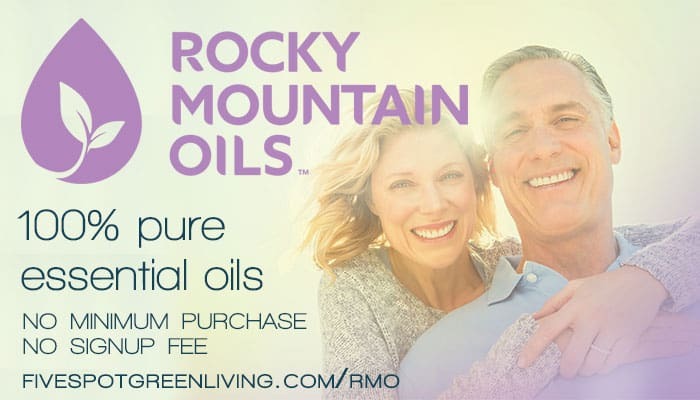 I love Rocky Mountain Oils because they have NO minimum purchase and FREE shipping ALL the time! They are 100% pure essential oils and have lots of great deals all the time.